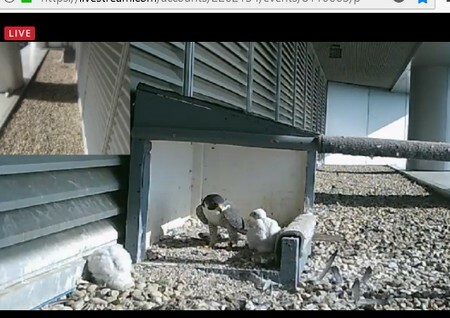 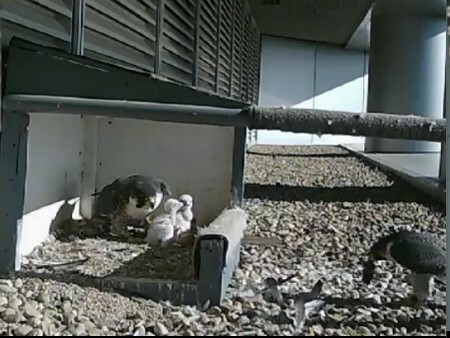 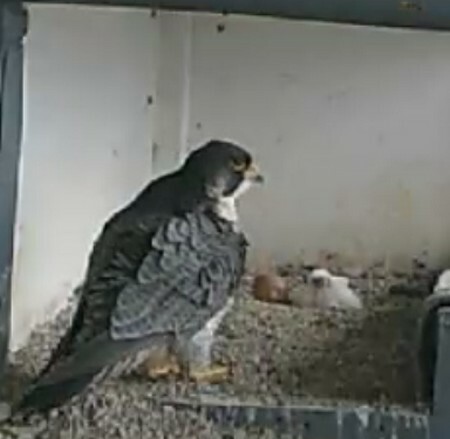 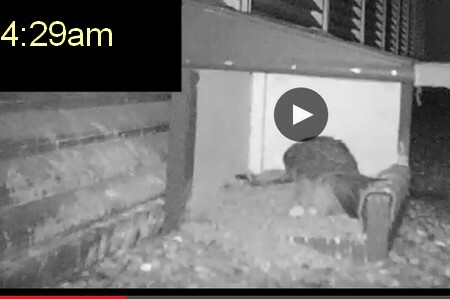 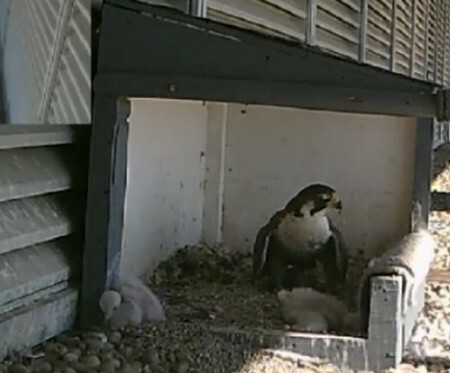 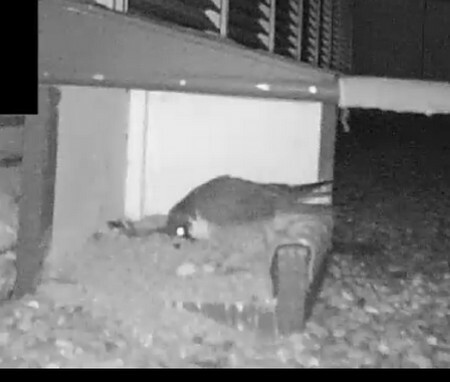 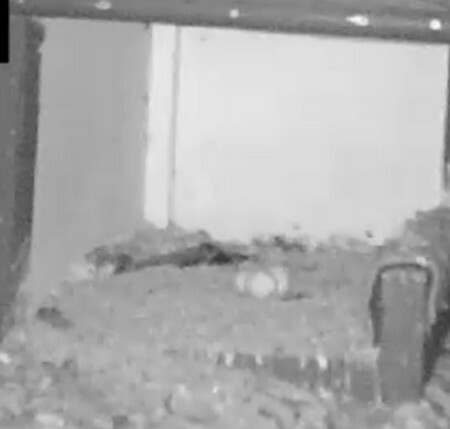 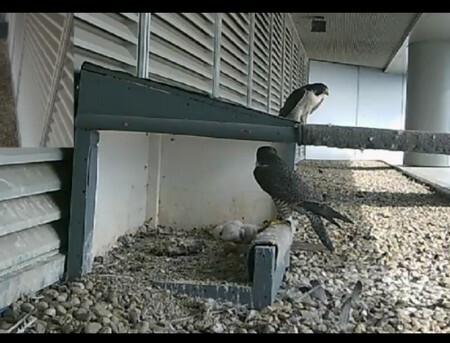 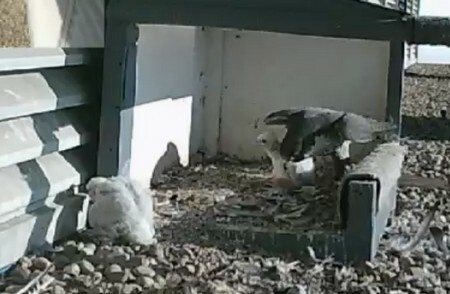 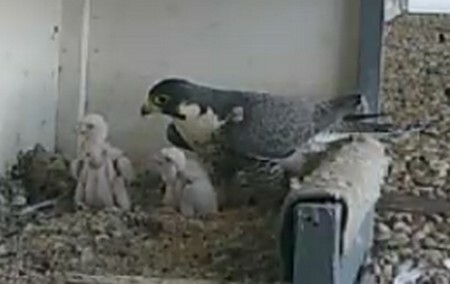 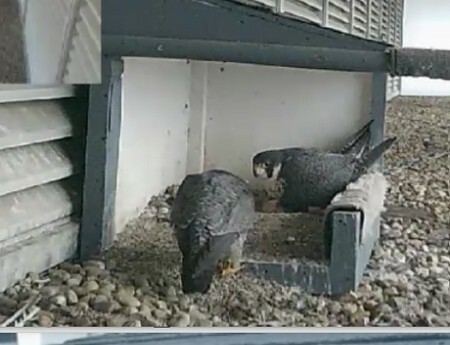 at about 3:25pm , the female started eating around the 4 eggs. 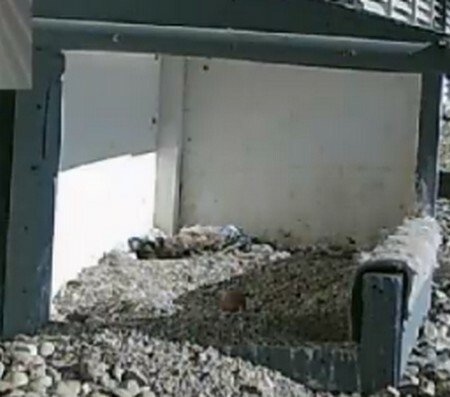 There was no indication before that, that there was something wrong. 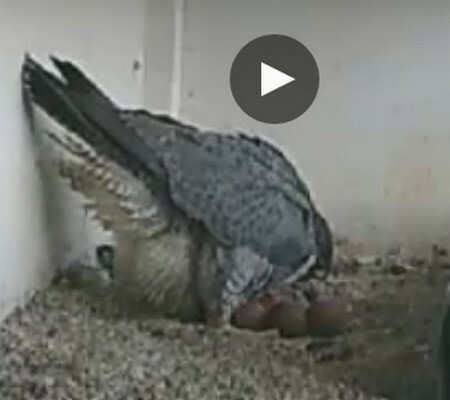 At first I thought she was eating prey but alas,no, now only 3 eggs. 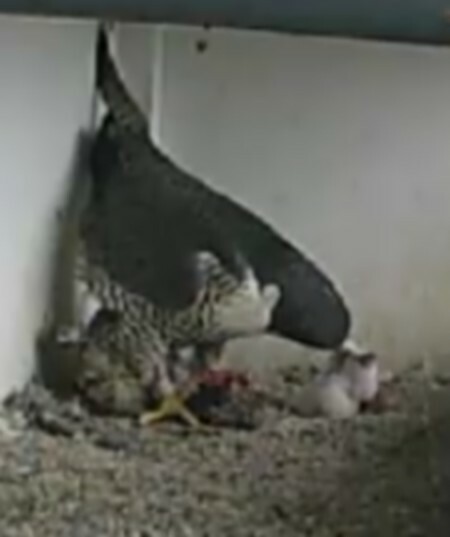 it was confusing , as although you could see her eating , you would see 4 eggs . 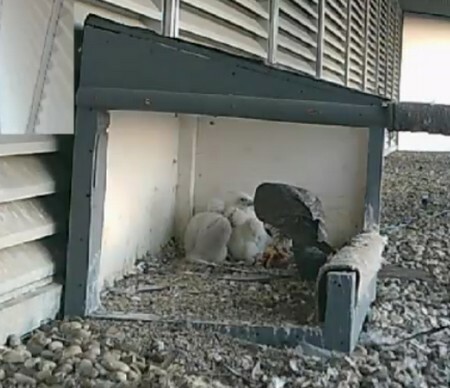 it has been extremely hot for the last week and a half. 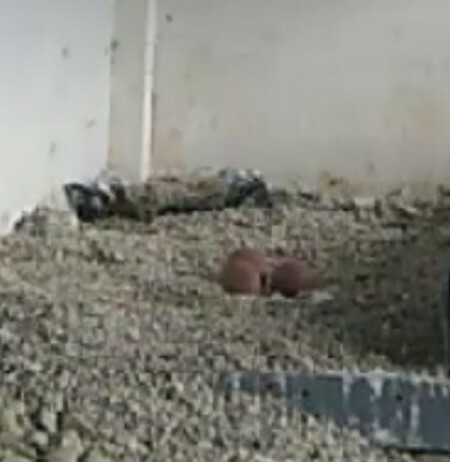 our birds have really suffered, and struggled to keep eggs cool, . 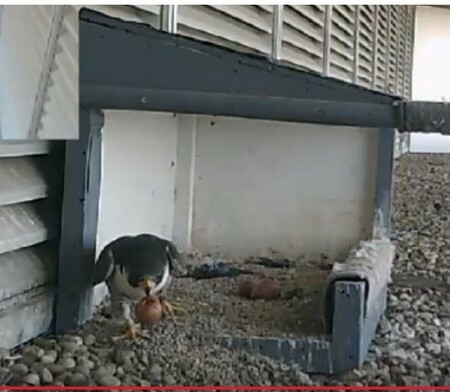 I think it was not viable and exploded. 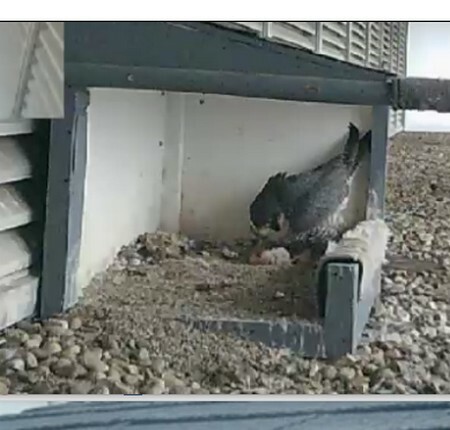 WE saw her eating what appeared to be some of that duck in corner with it , as it appeared stuck on egg.